It’s International Babywearing Week, mums and dads! 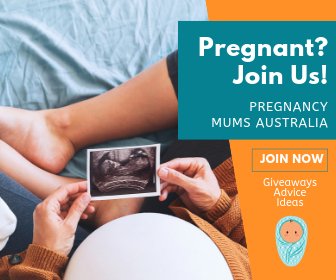 We’re celebrating the closeness, convenience and cuddles that babywearing can provide with a BIG discount for all our Mum Central parents AND three Ergobaby Omni 360 carriers to give away. 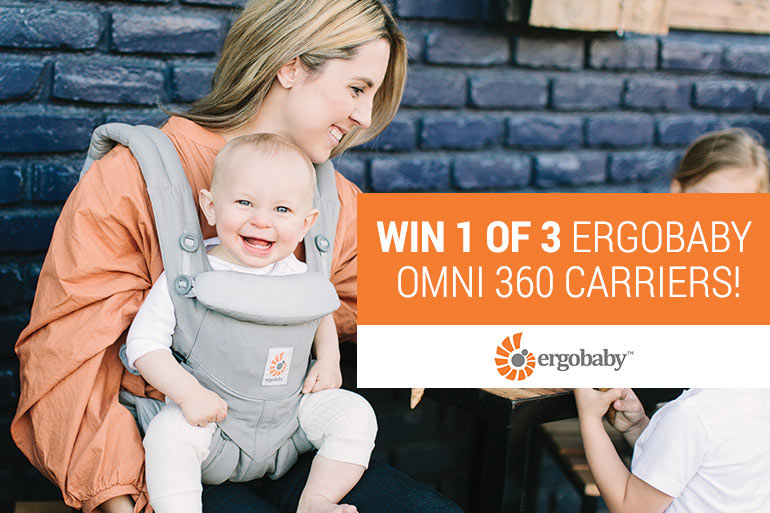 If you share our love for babywearing, then come have a look at the Ergobaby Omni 360 Carrier, a must-have for all new or seasoned parents who love to wear their little ones. And, if you’re new to the world of babywearing, check out why so many mums (myself included) LURVE the security and freedom that comes from babywearing. There are dozens of reasons why mums choose to babywear. It’s ideal for busy/active mums, clingy infants and even toddlers who won’t sit in a pram for longer than 10 seconds. It allows you to explore the world with your newest little adventurer in a comfortable and convenient way. Plus it keeps your hands free. And we know how much we love that! Why babywear when you can put baby in a pram, swing or bassinet? The main reason why so many parents opt to babywear is because babies, especially newborns, often won’t settle anywhere but in your arms. Even if you’ve got a super fancy pram. Or an ultra-cosy cot. Or even a singing, vibrating swing that comes with rave reviews. Sometimes, only your arms will do. From a health perspective, research shows babywearing is actually good for both you and bub. Allows bub to be comforted by the body rhythms of their parents (heartbeat, breathing patterns, body temperature, voice and smell). Yes, from a health perspective babywearing is a massive win for your (and baby’s) wellbeing. But from a mum’s perspective, it’s even better. Why? Because, simply put, babywearing helps you get stuff done and actually return to some semblance of a routine without having to constantly hold a baby. Okay, so, yes, when you babywear, technically, you are constantly holding a baby. BUT, when you babywear, you’re able to do more than just that. You are comfortable to move around, to vacuum the house, to go for a walk around the neighbourhood or hike up a hill. Heck, you can do even squats if you want to. You’ve got your hands free to make the beds in the morning (or use hand gestures to emphasis to your husband that he needs to make the beds), to make some toast for your other kids, to make more toast because you cut the first piece into squares instead of triangles. You can do ALL the multi-tasking mum things. And still keep your baby or toddler happy, content and close to you. This, mums and mums-to-be, is why I babywear. And, honestly, if I didn’t, I probably would have lost my marbles ages ago. When it comes to babywearing, there are heaps of different carriers, wraps and slings to choose from. But Ergobaby reigns supreme as one of the biggest brands in baby carriers. The Omni 360 Carrier is Ergobaby’s premium all-in-one baby carrier. It’s great for squishy newborns (no additional insert needed), cuddly infants and tricky toddlers, from 3.2kg to 15kg. Whether you’re preparing veggies in the kitchen, walking your dog along the beach or picking up the older kids from school, the Ergobaby Omni 360 pulses with babywearing swagger. 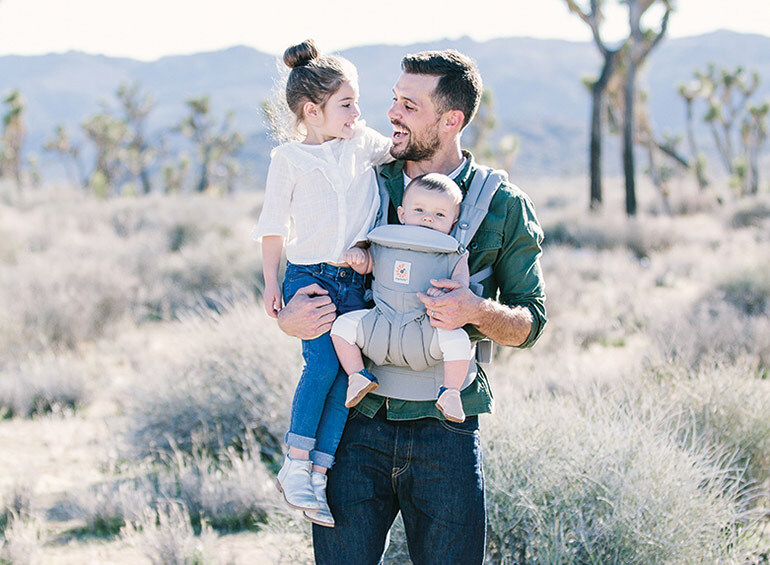 It comes with all the bells and whistles that we have come to expect from a baby carrier, including hip-healthy seat support and additional head and neck support cushions for bub and lumbar support plus crossable shoulder straps for the parents. But it also boasts some seriously fantastic exclusive features such as a tuck-away baby hood for sun protection and privacy, a detachable pouch to store your phone and keys plus easy-to-reach buckles for an awkward-free way to get baby in and out of the carrier. Parents can choose from the four standard carry positions – front facing out, front facing you, on your back or on your hip. You can even switch bub from one position to another on the go. So, to all the mums, dads and parents-to-be out there who love babywearing or want to give it a go, check out this awesome discount from Ergobaby and enjoy a first-class carrier experience. You deserve it! In fact, we ALL do! For a VERY limited time, all Mum Central readers can get seriously sweet savings on Ergobaby Omni Carriers. Get 25% Ergobaby Omni Mesh Carriers and 30% off Ergobaby Omni Cotton Carriers. That’s a saving of up to $70! Hurry though. This limited time offer ends midnight, 21 October 2018.
Who needs the Ergobaby Omni 360 carrier? I do, I do, I do! And, if you’re expecting or have a newborn, infant or toddler, then you certainly do too! The difference an Ergobaby carrier 360 would make to my life as a parent is it would enhance it 360 – my infant son loves to be close to people but also loves to explore and this carrier would make that so much easier to do both. Hands free to cope with my busy life but there closeby for cuddles… Ergobaby carrier 360 would give my little one new horizons to feast his eyes upon. 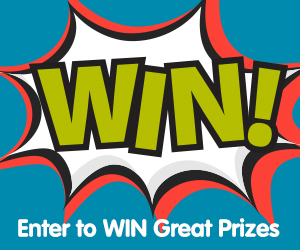 It seems like a winner give it a shout!